Convert EML files to Outlook MSG format. Is there a better alternative to EML to MSG Converter? Is EML to MSG Converter really the best app in Internet Utilities category? 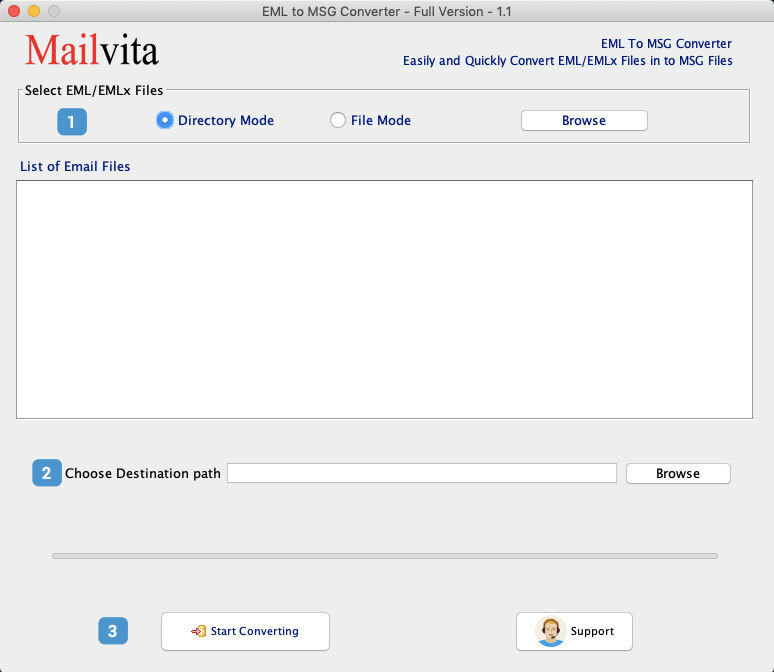 Will EML to MSG Converter work good on macOS 10.13.4? The development of EML to MSG Converter has simplified the conversion of EML files to Outlook MSG format with few simple clicks. It is an advanced tool that performs quick and secure conversion of EML files to MSG format. Provides support to EML based email clients like Apple Mail, Thunderbird etc. EML to MSG Converter needs a review. Be the first to review this app and get the discussion started! EML to MSG Converter needs a rating. Be the first to rate this app and get the discussion started!